Welcome to the November 26, 2018 edition of ACM TechNews, providing timely information for IT professionals three times a week. 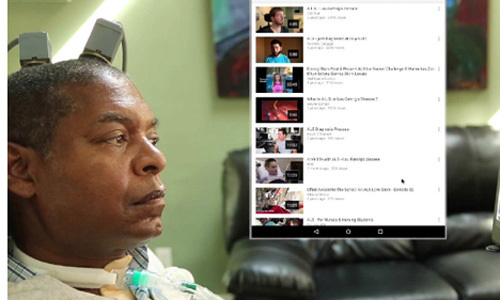 A brain-computer interface (BCI) has enabled three people suffering from tetraplegia (paralysis that results in the partial or total loss of use of all four limbs and torso) to control a commercial tablet computer with their thoughts, suggesting people who cannot speak may be able to continue to communicate with the technology. The BrainGate BCI translates participants' brain activity into commands via microelectrode arrays implanted into the brain region governing hand movement; this allowed users to train the system to interpret neural impulses for such movements as onscreen actions. BrainGate decoded brain activity associated with users' intent to move their hands and passed the information to a Bluetooth interface paired to an off-the-shelf tablet. Users could then "point and click" the tablet's cursor by attempting to make a related hand movement. The subjects each performed seven tasks on three different days, and completed all tasks within 15 to 30 minutes. Google researchers have unveiled an artificial intelligence (AI) system that can complete English sentences with human-like accuracy, even though it was not designed for that purpose. The Bidirectional Encoder Representations from Transformers (Bert) demonstrated that computers can be taught generalized vagaries of language and apply that knowledge to various tasks, with implications for enhancing digital assistants and automatic document analysis. Bert analyzed both Wikipedia and thousands of self-published books, and learned to guess missing words anywhere in a sentence, as well as how language is assembled. New York University's Sam Bowman said such technology is "a step toward a lot of still-faraway goals in AI, like technologies that can summarize and synthesize big, messy collections of information to help people make important decisions." A program sponsored by the Resilient Coders nonprofit is training young adults of color in the Boston area to break into the computer industry, overcoming barriers for minorities restrained by the sector's primary reliance on elite universities and other tech firms for supplying recruits. Resilient Coders' David Delmar said the program is designed to prepare minorities for the changing job market, where automation is making rapid inroads. The 14-week "Resilient Bootcamp" hosts community nights where participants work side-by-side on coding projects, as well as workshops where students learn coding languages and apply that knowledge to complete projects. Delmar said the bootcamp allows students to demonstrate their skills first-hand for teachers and others looking for talent. Resilient Coders also holds hackathons at the bootcamps to build up interest for the next student cohort, inviting prospective students to spend a day brainstorming and learning coding fundamentals. Researchers at the University of Toronto (U of T) in Canada recently discussed their development of a curation-based approach for clinical text visualization. Using information from local clinics and other resources, the Doccurate visualization tool incorporated datasets of medical chart notes for each patient, with conditions cited throughout a chart visualized as steamgraphs, string-like graphs with droplets that expand upon recurrence of terms; each condition was labeled with a different color for quick recognition. U of T's Devin Singh said Doccurate stands apart from other medical visualization tools with its capability for customization. Said Singh, "It's communicated to me in a visual way, which helps link the mental models of physicians together, creating a holistic care team through visualization." 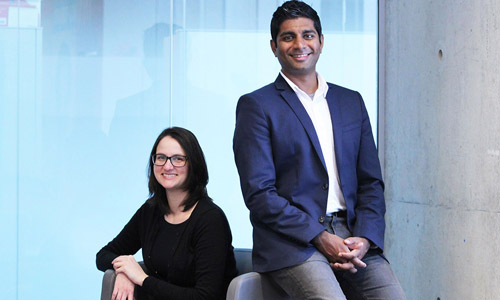 U of T's Nicole Sultanum said the next step involves delivering a visual sense of narrative and progression as to how the patient has developed over time. Israel's leadership in computer-vision technology stems from a combination of Israelis' unique experiences and their application to business. 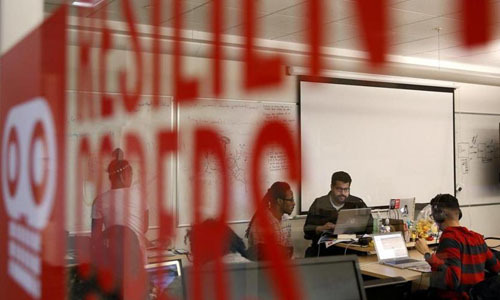 Computer vision is the connective tissue between some of Israel's most promising companies, and it is incorporated into a wide spectrum of civilian industries. Israel's computer-vision sector is driven by the Terrain Analysis, Accurate Mapping, Visual Collection and Interpretation Agency (Unit 9900), a secretive, elite military unit that refines algorithms to absorb and mine massive surveillance photo datasets to extract actionable intelligence from drones and satellites. Unit 9900 in recent years has automated much of this process, training algorithms to identify subtleties and variations in landscape features and target movements. One company, Tel Aviv-based Nexar, employs former Unit 9900 engineers to advance its road mapping service by analyzing traffic and collision data from drivers' smartphones; other industries benefiting from Israel's computer-vision innovation include agriculture, athletics, and automated shopping. Researchers at the University of Michigan's Mcity Test Facility are using augmented reality (AR) to create a faster, more efficient, and economical approach to testing connected and automated vehicles. The researchers found AR technology can accelerate testing of connected and automated vehicles by up to 100,000 times, depending on different testing scenarios. In addition, the method can reduce additional testing costs to almost zero. The team created an AR environment where real vehicles can interact with and react to computer-generated vehicles in real time via connected vehicle communications. The University of Michigan's Henry Liu said the new procedure "has the added benefit of allowing us to build a virtual library of computer-generated traffic scenarios that can be practiced without risk of damage or human injuries." 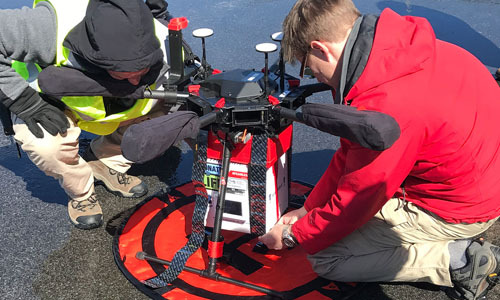 University of Maryland (UMD) researchers have tested organ delivery via aerial drone. The selected drone's motors were positioned directly below their respective rotors so the cooler containing the organ would not be affected by their heat output. A wireless biosensor, called the Human Organ Monitoring and Quality Assurance Apparatus for Long-Distance Travel (Homal), was designed to measure temperature, barometric pressure, altitude, vibration, and location of the organ en route. With this setup, the team transported a kidney for about an hour over 14 flight missions, at a maximum distance of 2,415 meters; organ temperature held steady at 2.5 degrees Celsius, traveling at a top speed of 67.6 kilometers an hour, without sustaining any damage. Said UMD's Joseph Scalea, "This is the first step among a series that I think will get patients closer to their life-saving organs quicker, and with better outcomes." Startup Chainlink has partnered with Cornell University's Initiative for Cryptocurrencies and Contracts to find a reliable way for smart contracts—blockchain-stored computer programs—to connect with real-world events. The concept involves combining smart contracts with real-time "oracle" data feeds so blockchain-based services can interact with events with significantly higher levels of trust. Chainlink's Sergey Nazarov said current oracle services hinder blockchain use because they are centralized and prone to tampering, barring smart contracts' access to real-world data. To overcome this, Chainlink and Cornell developed Town Crier, a "high-trust bridge" between the Ethereum blockchain and HTTPS-enabled online data sources; Town Crier's centerpiece is a program running within an isolated piece of hardware, or secure enclave, that is shielded from attacks while maintaining computation confidentiality. Chainlink's software coordinates decentralized oracle networks harnessing multiple sources of data for smart-contract-based services so that they have no dependence on a single source. Researchers at Vrije University Amsterdam in the Netherlands found a way to circumvent an error-correcting code (ECC) patch in high-end DDR3 memory chips thought to prevent exploitation by the Rowhammer hack. ECC adds sufficient redundancy to repair single bitflips in a 64-bit word, and when two bitflips occur in a word, it causes the underlying program to crash; when three bitflips occur in the right places, ECC can be bypassed. The team found a timing side channel by measuring the amount of time it took to execute certain processes to extract granular details about bitflips occurring within the silicon. Said the researchers, "Armed with this knowledge, we then proceeded to show that ECC merely slows down the Rowhammer attack and is not enough to stop it." Although they acknowledged the new exploit presents no immediate threat, the researchers said these findings show that Rowhammer is continuously evolving and should not be discounted. Duke University researchers developed an automated method for analyzing video of the eye to determine the gestational age of newborns, an innovation that could be crucial in saving the lives of premature infants. Duke's Arjun D. Desai said the method uses a fully automated machine learning algorithm to analyze video obtained via an inexpensive ophthalmoscope attached to the lens of a smartphone camera, which acquires video of blood vessels within the eye's anterior lens capsule; a special algorithm parses the video to identify the highest-quality video frames showing the region of interest for analysis. Computational techniques like convolutional neural networks and machine learning are then applied to assess image features in the region and calculate gestational age. Said Desai, "Our work is a first step to developing a fully automatic pipeline for determining gestational age that is accurate and robust to differences across newborns." 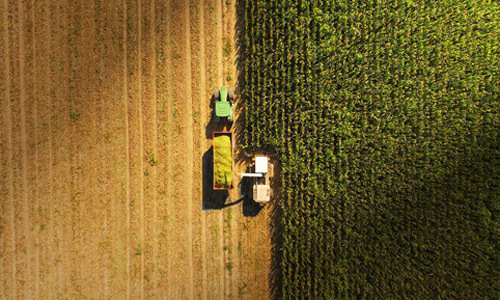 Researchers at the University of Chicago (UChicago), the U.S. National Aeronautics and Space Administration (NASA), and the Potsdam Institute for Climate Impact Research in Germany have significantly improved crop loss simulations by including data on when a specific region plants and harvests its crops. Rather than attempt to improve crop yield estimates by refining the model's weather response, UChicago's Jonas Jagermeyr and Potsdam's Katja Frieler deployed the average times each region plants and harvests crops to represent local varieties, leading to a doubling of model performance. The information enabled the researchers' models to match up more closely with observed yields. Said Jagermeyr, "We are now up to task to simulate historic impacts of droughts and heat waves, which is unprecedented, and we have every reason to expect our future simulations will be more robust than before." 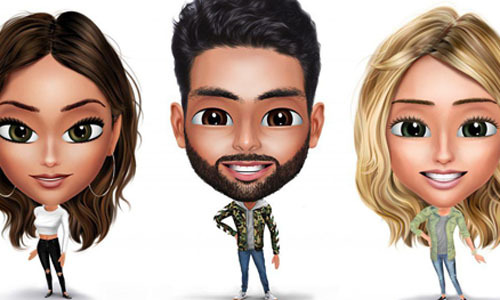 Startup Genies has launched the first mobile app supporting animated avatar-to-avatar communication via advanced artificial intelligence (AI), inviting users to create high-quality, three-dimensional digital "clones" of themselves. The company's first global advertiser, Gucci, is the app’s exclusive provider of luxury avatar apparel. Users can outfit their Genies avatars with any of 200 pieces from the label’s real-life collection, and choose from a number of Gucci-themed actions. The app offers more than 1 million customization options, ranging from personality types and likes and dislikes to eye and hair color to skin tone to apparel. Genies' researchers analyzed hundreds of millions of chats to design an algorithm that identifies more than 180 dimensions of mood changes and expresses emotion through avatars. The Genies app can be used in combination with messaging apps like Facebook Messenger and WhatsApp so groups of up to six users can communicate via avatars on their smartphones; the avatars react to texts in real time, mimicking users' movements and facial expressions in response to tapped "action" commands. Researchers across Europe are applying multiple methods to combat food and beverage counterfeiting. Katharina Verhaelen and colleagues at the Bavarian Health and Food Safety Authority have developed software that monitors food-import data in Germany, flagging suspicious changes in product volumes or prices. Meanwhile, a team at Wageningen University in the Netherlands repurposed a public health alert program, which scans online news and records potential cases of food contamination, for spotting fraud. Wageningen's Yamine Bouzembrak said as of late September, the team had identified and confirmed 5,174 separate food-fraud incidents.